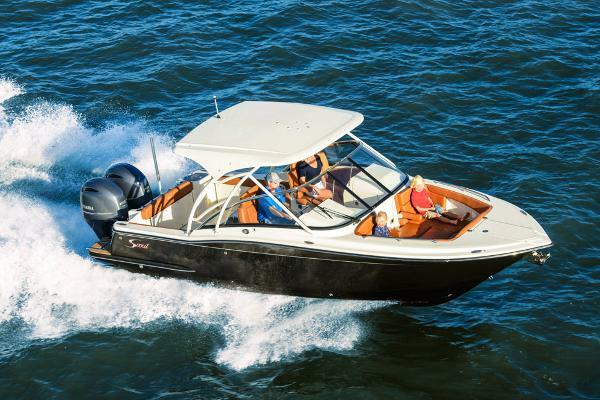 The 255 Dorado is a dual console family-friendly sportfishing model ideal for fishing, cruising, entertaining, and watersports. 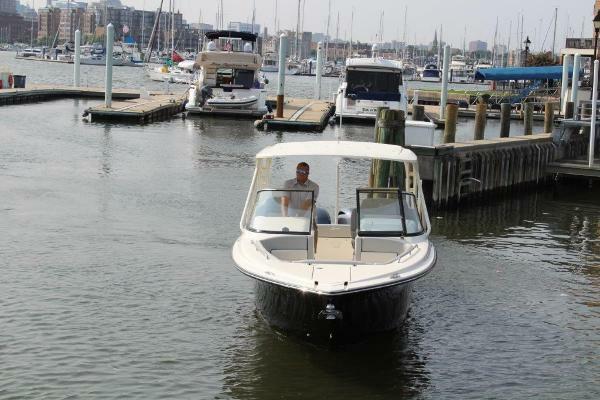 One of the unique innovations onboard the model is an electronic aft-facing seat that easily converts to a lounger when activated, complemented by the fold-down aft portside seat. 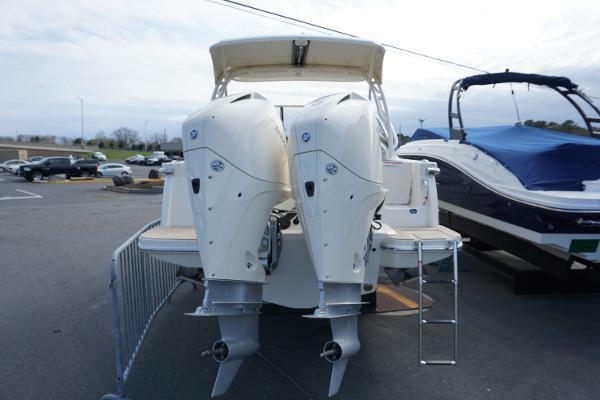 When the seat slides out, the backrest moves into a leaning position and allows for complete comfort. 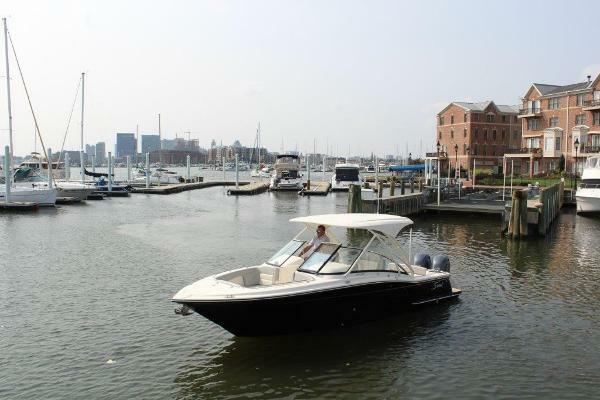 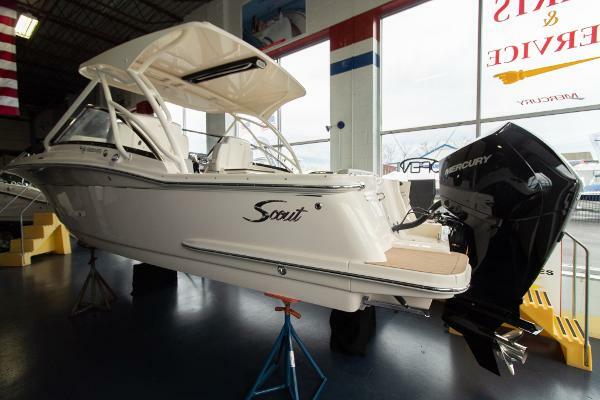 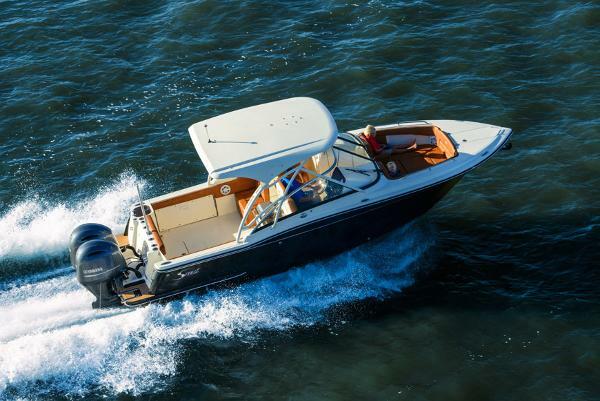 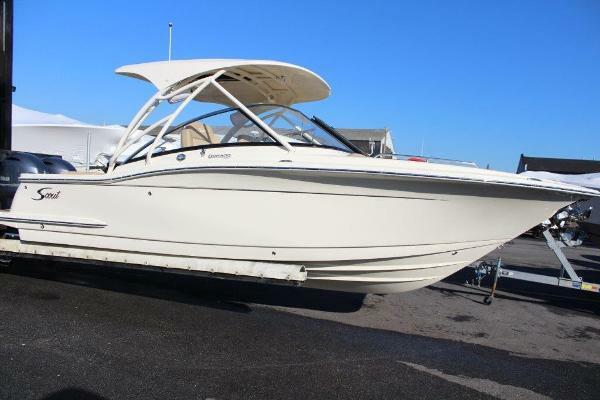 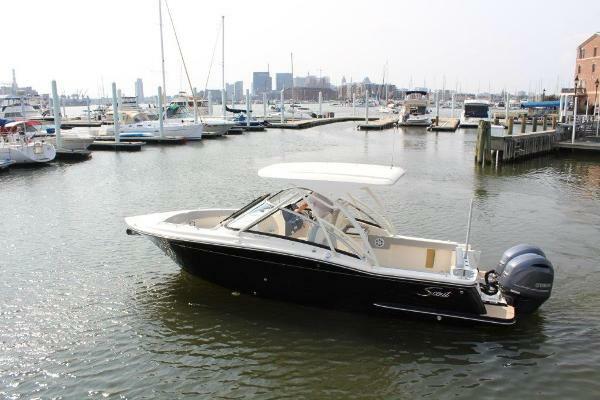 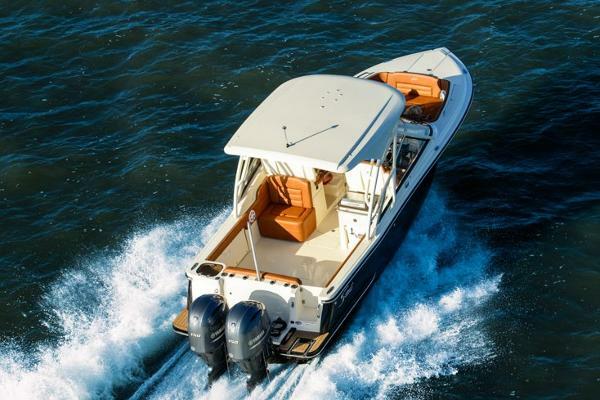 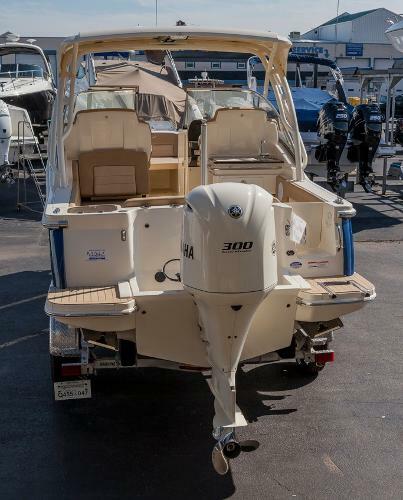 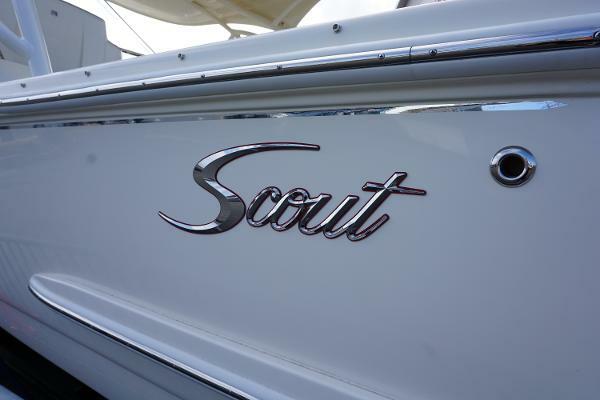 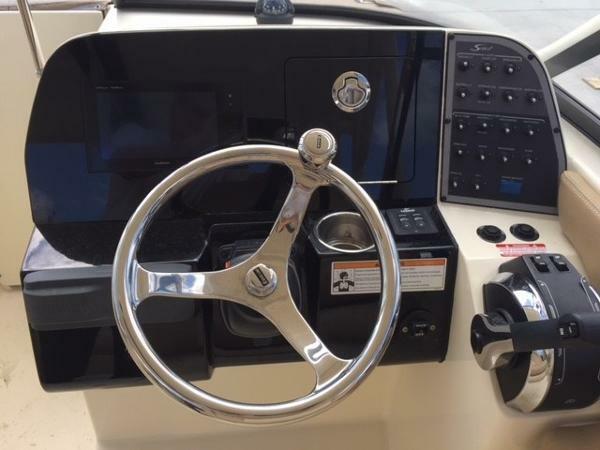 Additional seating can be found with the fold-down transom bench seat, deluxe fiberglass captain’s chairs with armrests and fold-down bolsters (the portside seat can even fit two people), as well as comfortable and roomy bow seating port and starboard. 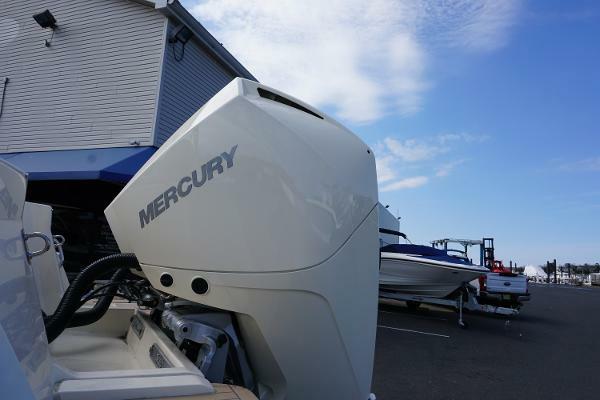 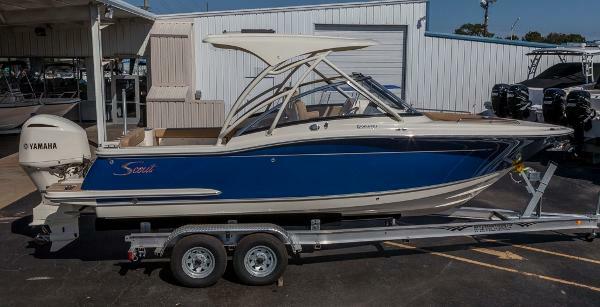 TRAILER PICTURED NOT INCLUDED The 255 Dorado is a dual console family-friendly sportfishing model ideal for fishing, cruising, entertaining, and watersports. 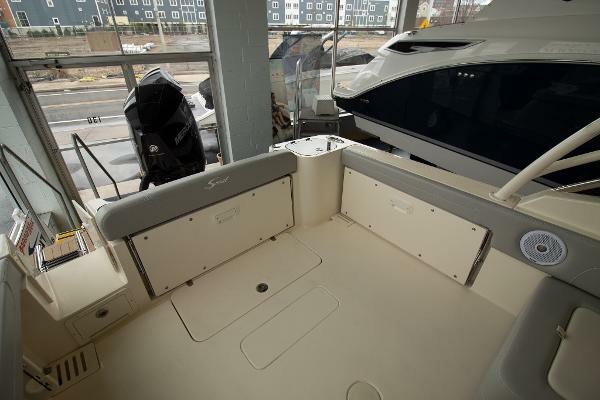 One of the unique innovations onboard the model is an electronic aft-facing seat that easily converts to a lounger when activated, complemented by the fold-down aft portside seat. 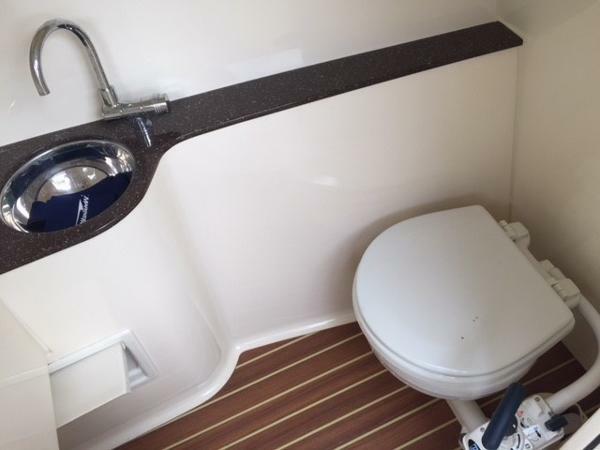 When the seat slides out, the backrest moves into a leaning position and allows for complete comfort. 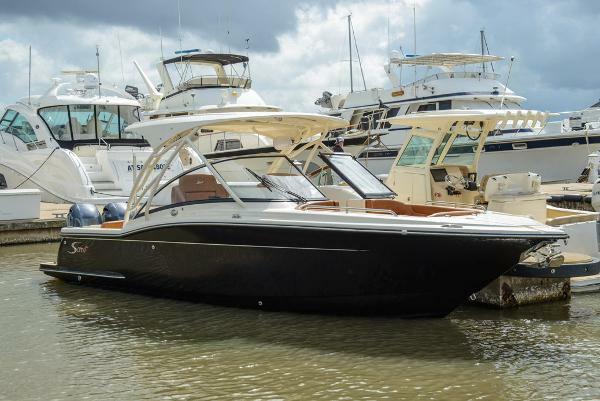 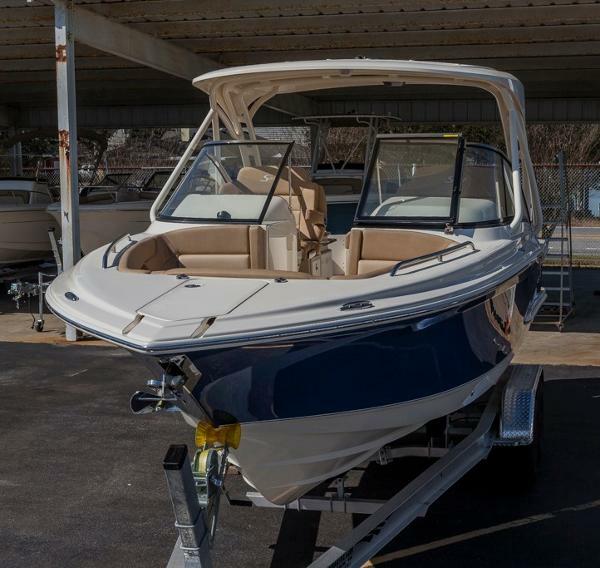 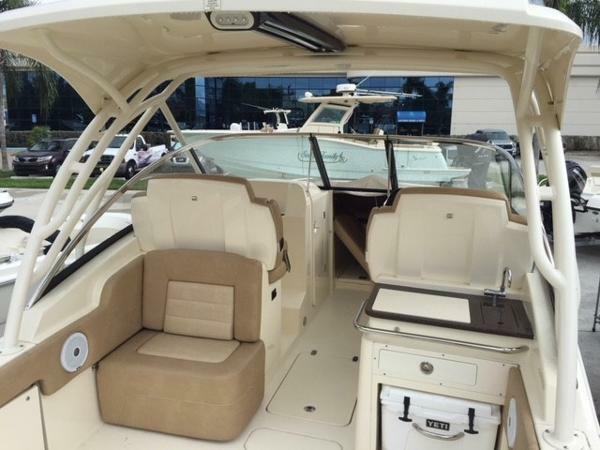 Additional seating can be found with the fold-down transom bench seat, deluxe fiberglass captain’s chairs with armrests and fold-down bolsters (the portside seat can even fit two people), as well as comfortable and roomy bow seating port and starboard.